Do you enjoy receiving our monthly newsletters, reading our website listings and attending our multifaceted events? Can't get to our events, but love what we are doing? Becoming a part of our membership base demonstrates your willingness to stand up and be counted as a woman who wants to rise up and rock the world! Offering your financial support through membership will enable us to sustain and enhance our programs as well as present to you discounts, merchandise and much more...Stay tuned for additional offerings and even more affordable events as we continue to grow! *Events do not include The Women's Mosaic fundraisers. 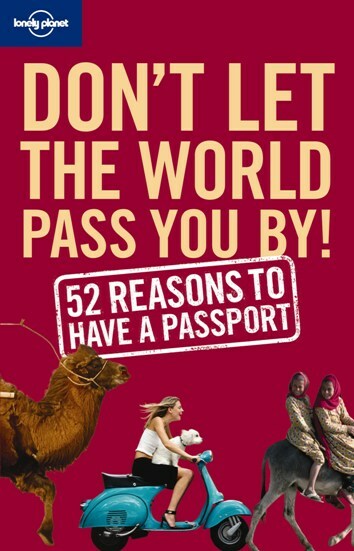 CLICK FOR LARGER IMAGE Join at the $50 level and receive Lonely Planet's "Don't Let the World Pass You By: 52 Reasons to Have a Passport"
10% discount off any regular-priced treatment from Thai Privilege Spa. 155 Spring Street, 2nd Floor 212-274-8121. Present TWM Membership card for discount. Save 20% on Lonely Planet! 41E.8th Street btwn. University & Broadway 212-673-9000. Present TWM membership card for discount. 10% discount on all Crouch & Fitzgerald merchandise purchased in-store or on-line, and TWM will receive a portion of the proceeds as well. Use promotional code given when membership is activated. Crouch & Fitzgerald is the oldest and most prestigious department store for a variety of quality leather goods from luggage to frames as well as other specialty items and pet accessories. Visit the store at 400 Madison Avenue or purchase on line at www.crouchandfitzgerald.com. Please make your check payable to "The Women's Mosaic" and mail it to: The Women's Mosaic 400 East 50th Street, Suite 4H New York, NY 10022. If you would like to pay by credit card or money transfer you can do it through our link to PayPal. Copyright © 2001 The Women's Mosaic. All Rights Reserved.